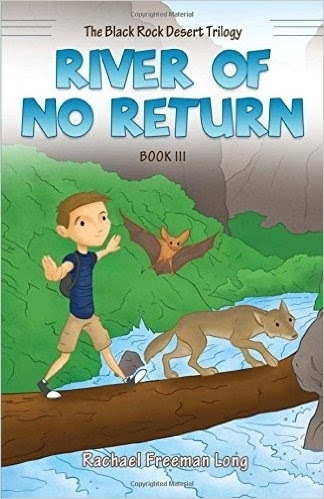 River of No Return, written by UC Cooperative Extension advisor Rachael Freeman Long, chronicles the third summer at the family cabin for Jack, where he meets up with his animal pals from the previous books: Pinta the bat and Sonny the coyote. The trio were introduced in Gold Fever, and reunited in Valley of Fire. In River of No Return, Jack, Pinta and Sonny team up with other animal friends and foes – including Lux and Lacy the wolves and Midas the raven – to defeat and bring to justice the last of a band of poachers tormenting wildlife in the Black Rock Desert. The loss of Sonny's loving parents, Lux's near fatal injuries, and the dark rage of Sarge, a greedy Air Force veteran who is willing to poach endangered species to become “the richest man in the world,” sets a somber stage. But Jack's commitment to his animal friends, his courage and ingenuity take the sting out of the story, even as he braves pitch dark tunnels, a raging underground river, and dreadful villains. Riveted as the novel unfolds, children may not realize that they are learning about wildlife and natural history. 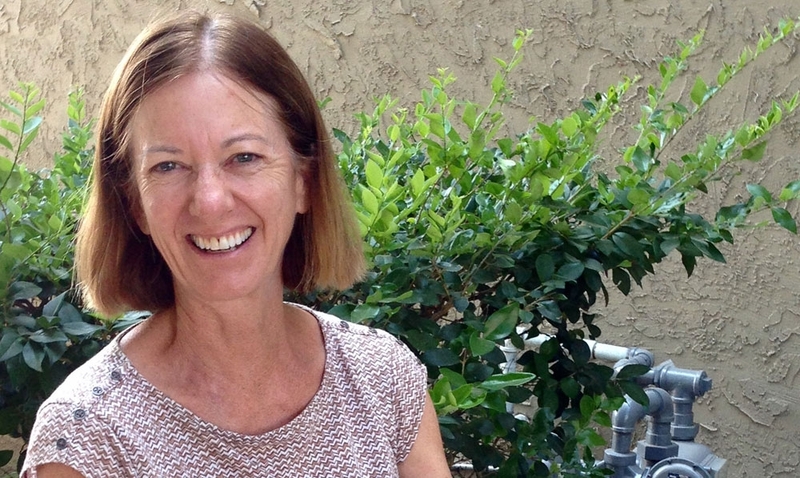 All three books in the Black Rock Desert Trilogy are peppered with facts about animals, but Long gives bats, a focus of her agricultural research for UC Cooperative Extension, the spotlight. For example, readers learn that Pinta the pallid bat has big, pink ears that twitch constantly as they echolocate, when using sound waves to see in the dark. Later, Pinta tells Jack, “Remember, we migrate to the desert southwest during wintertime where it's warmer and there's plenty to eat.” Readers also learn that bats pollinate flowers, when Pinta turns yellow with pollen. Long originally created the characters in the Black Rock Desert Trilogy to entertain her then two-year-old son during long commutes. He is now in college. She may be hanging up the tale of Jack, Pinta and Sonny, but Long plans to keep writing children's books. Her new series, called Animal Adventures, will begin with A is for Alligator, in which two 8-year-old boys visit a city zoo. “They wonder what it's like in the animals' natural habitat, and a portal takes them to the Everglades, where they learn everything they need to know about alligators,” Long said. The series will continue, next is B is for Bear, for 26 volumes, one for each letter of the alphabet. All of Long's books are available on Amazon.com.